Take a look! Legal Aid’s New Annual Report is Here. Take a look! Legal Aid’s new Annual Report is here. Learn about our medical-legal partnerships with Cincinnati Children’s and TriHealth as well as our Family Law partnerships with the Hamilton County Domestic Relations Court and the Hamilton County Law Library. 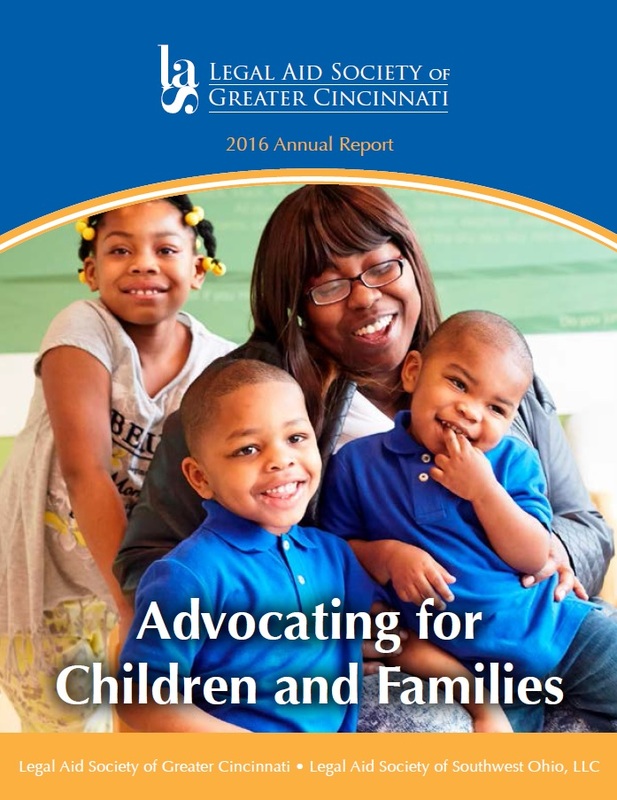 To read the 2016 Annual Report, click here.